Hoops Packet Pickup Change – FRIDAY 4/6/18! Due to logistical circumstances beyond our control, team packet pickup is moving to Friday, April 6th from 3-7p. (This was previously noted to be Thursday). We hope that the 4 hour window for pickup can help accommodate everyone’s busy schedule. Great news! 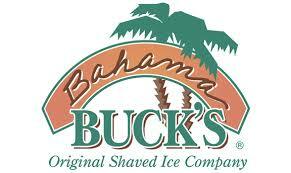 Bring your family and friends to packet pickup and treat yourselves to Bahama Bucks snow cones! Bahama Bucks will bring their truck & trailer out for the duration of packet pickup, with 20% of proceeds going back to Hoops. Thank you, Bahama Bucks! Don’t wait until it’s too late! Brackets are filling up – register your team TODAY! Hoops in the Highlands is just 5 weeks away! On time registration ends MARCH 15th! !